“You stare at him, and he just stares right back.” The velociraptors of Jurassic Park are very menacing, and if you’re brave enough, you can go face-to-face with one at Universal’s Islands of Adventure. 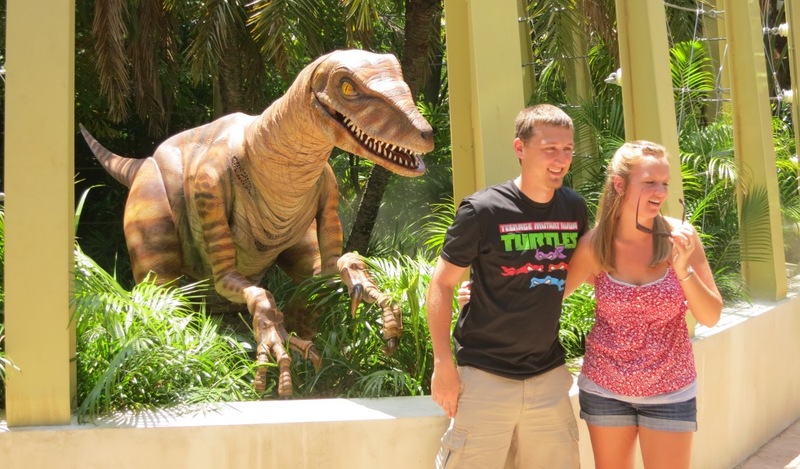 Now open in the Jurassic Park section of the park is the Raptor Encounter, where guests can meet and get their photo with the creature. The experience is located between the Discovery Center and Camp Jurassic. During your experience, a voice-over gives out different facts about the velocirapter. When it’s your turn, be sure not to get too close, raptors can be very unpredictable. I miss the Triceratops Encounter, as the Trikes were incredibly realistic. Still, I look forward to seeing the raptor on my next trip to Universal.